I am a huge pizza fan! Then again who isn’t? Sometimes I want to have a lighter version of pizza. 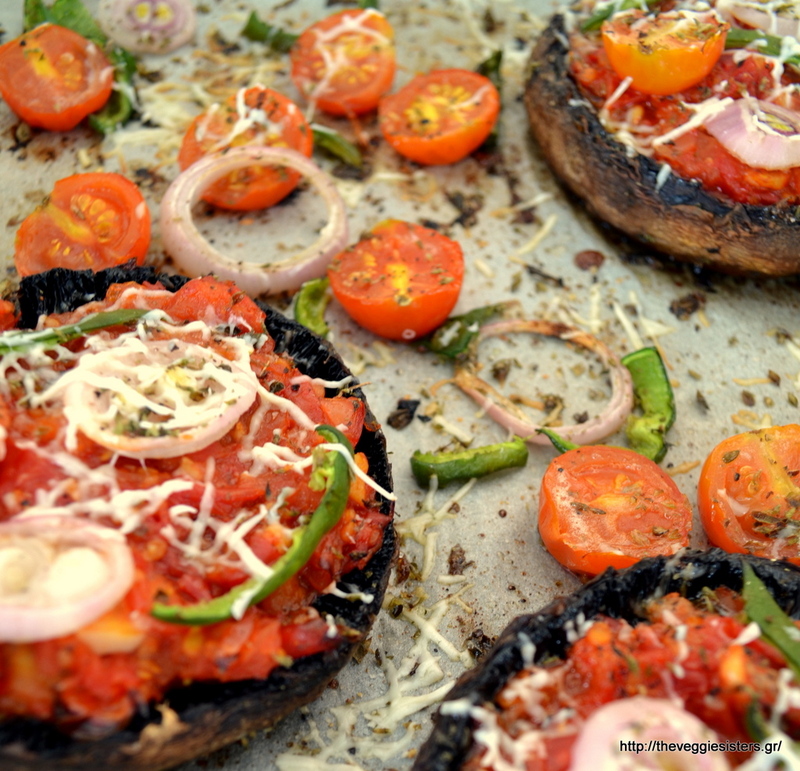 So I substitute the flour crust with big juicy portobello mushrooms. 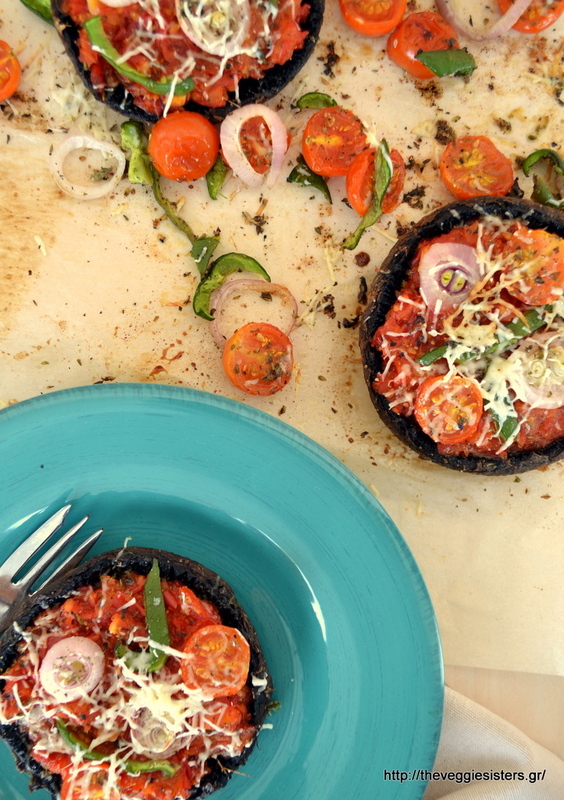 I top them with left over tomato sauce, onions, peppers, cherry tomatoes or any other ingredients I have at hand (olives, capers, zucchini etc) and in a fewminutes I make an amazing healthy pizza! You should try it! Have a lovely week, my dear friends! Clean mushrooms with a humid paper towel. Remove the stems and the black gills by scraping with the edge of a spoon. In a bowl combine olive oil with salt and pepper and oregano. Brush mushrooms with this mixture. Lay them on a baking sheet lined with parchment paper. Bake in preheated oven at 180 C for about 20 minutes. Remove from oven and put red sauce in each one. Top with peppers, cherry tomatoes, onion slices. Put back in the oven for 15 minutes, then sprinkle with grated cheese and bake for another 5 minutes. Enjoy! 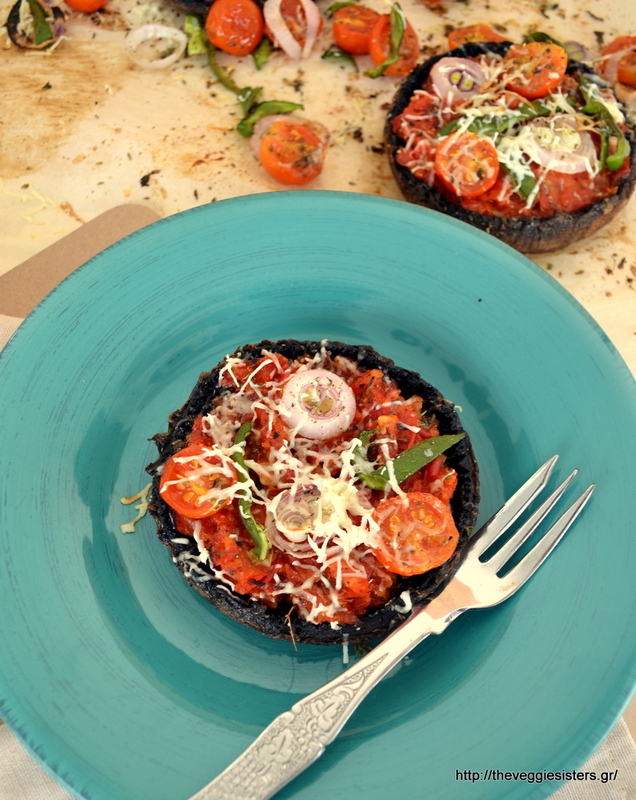 Share the post "Portobello pizza!" Next PostΠίτσα με βάση μανιτάρια πορτομπέλο!